How fast is the Internet growing? Very fast! It took 38 years for radio to reach 50 million users, 13 years for TV, and only 5 years for the Internet. 6.5 billion world-wide surf Internet and use email daily, 833.5 million e-mail accounts are active, 71% of men will shop online and 58% of women and 81% collect product or service information. e-commerce, print & graphic design, email marketing, social media, video production, promotional items design and development in Adobe Flash. If you want individual attention then getting a freelance developer/designer such as Gillum Design is the way to go rather than a big agency. Gillum Design is the solution for some of Cincinnati's leading companies to give them best in creativity and the latest back-end technology. With this experience in a vast array of creativity and back-end technology, why wouldn't you choose Gillum Design? In other words you're getting Intelligent Creativity. 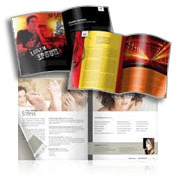 The Gillum Design approach to design and development: To create the most dynamic combination of form and function in electronic and print media. Gillum Design always stays on the cutting edge of new technologies and to know when and when not to use them because sometimes the bells and whistles can keep visitors from finding, staying and/or coming back to your web site. Gillum Design LLC © 2003 - 2011. All Rights Reserved.